The first European Route 66 Festival. With establishment of the US highway system in the spring of 1926, it was signed as US 60. A bit of political compromise led to it being resigned as US 66 in November of that year. In that same year, dozens of former auto trails and “highways” such as the National Old Trails Highway, the Lincoln Highway, and the Dixie Highway were given a number emblazoned on a shield and incorporated into a vast national network that stretched from coast to coast and border to border. Almost from its inception, the media spotlight was placed squarely on US 66. First with establishment of the US Highway 66 Association and then resultant of the “Bunion Derby” in 1928 that generated international media attention, largely resultant of Andy Payne, a Cherokee boy from Foyil, Oklahoma, a Route 66 community, an amateur underdog pitted against professionals. 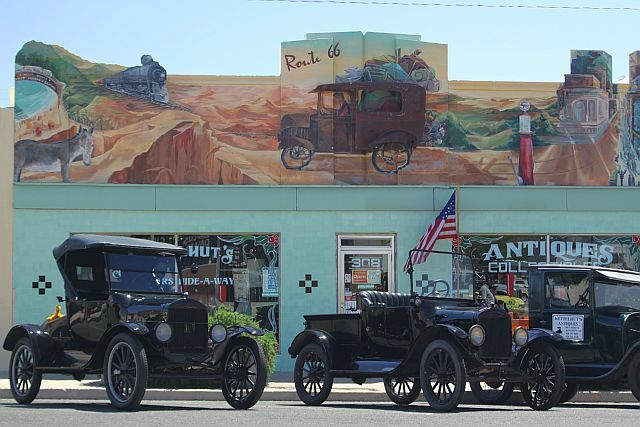 That accounts for the popularity of Route 66 in the 1920’s and even the 1930’s. The song by crooner Nat King Cole that topped the charts in the post World War II years accounts for its popularity in the 1940’s, but all of this occurred a very, very long time ago. So, how did a highway signed with two sixes become an internationally recognized icon in the 21st century, a shrine to the American Dream, a magic place where the best of the American experience was refined, purified, and preserved? How did a simple American highway, a highway that officially no longer exists, become a phenomena that inspired the creation of Route 66 associations in more than a dozen countries and even a Route 66 festival in Germany? The answer to that question is a long and complicated story that has provided fodder for countless books, feature articles, and presentations but understanding that popularity is key to harnessing the resurgent interest in the highway for event development or historic district revitalization. With that as an introduction, I want to continue our discussion about what this popularity means to communities large and small along the Route 66 corridor, and beyond. After all, the affect of Route 66 popularity is no longer limited to the towns, villages, and cities that line a narrow corridor between Chicago and Santa Monica. As an example, consider the economic impact on Oferdingen in Germany, the host city for the recent European Route 66 Festival, an historic first. There are two primary factors that hinder development of a Route 66 festival, or that impede utilization of interest in Route 66 as a catalyst for revitalization and economic development. One is a support structure that can provide assistance with marketing, promotion, fund raising, or templates for the revitalization of blighted districts along the highway corridor. Slowly, the Route 66: The Road Ahead Initiative is evolving to fill this void. In essence the goal for this entity is to serve as a sort of chamber of commerce for the Route 66 community. Even though the organization is largely developing under the radar, this link will provide access to the latest information, as well as quarterly reports. The second problem is a bit more complicated. It centers on leadership, or the lack thereof, egos, and caustic personalities that foster divisions. The Route 66 corridor is littered with examples of communities such as Tucumcari, Kingman, or Winslow that have everything needed to become the next Pontiac, Galena, Cuba, or Atlanta but yet they languish, develop at glacial speeds, or worse, stagnate and wither. In some communities, such as Albuquerque, a brilliant plan for economic development and revitalization of the Route 66 corridor that serves as a template for other communities to emulate can be derailed and even negated when a new administration assumes the leadership position, especially if they are so narrow minded that they can look down a beer bottle with both eyes. Resolving any of these issues in a community hinges on leadership, an articulate and passionate individual with vision, a very thick hide, and the diplomatic skills needed to foster a sense of community and community purpose. They also need to be an individual who can put aside ego, share the spotlight, and that has the ability to inspire others to help bring the vision to fruition. My pa always said that good ideas were worth less than a pound of wind. Doing something with them, making them manifest is what gives them value. Put another way, the road to Hell is paved with good intentions. If your looking to transform you community, begin with an examination of communities that miss the mark to learn what not to do. Then study the efforts, if any, that are being made to overcome or resolve issues. For graduate studies, then examine the success of communities such as Pontiac, and the people behind that success. As an example, spend a few days in Tucumcari, and speak with business owners. In spite of the success of the annual rockabilly festival, the ambition and vision of people like the Brenner’s at the Roadrunner Lodge, and the passion of the Mueller family at the iconic Blue Swallow Motel, you soon develop a sense that there is a lack of passionate vision about Route 66 in city government, and that some business owners would rather sabotage neighbors than put aside differences for the sake of the community or even for greater profits. Stifling or hindering development in some communities is the lack of a long term plan for development. Everything is done in a knee jerk, as needed fashion. More often than not, in these communities if there is an economic development plan, it is wholly divorced from tourism as if the two are mutually exclusive. 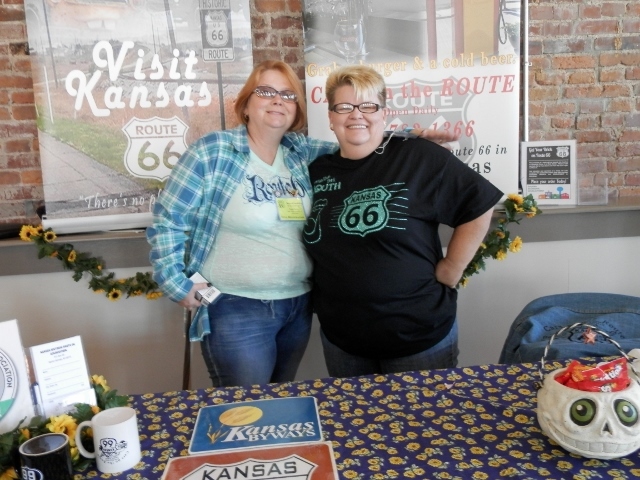 In years past, such as in 1931 in Elk City, Oklahoma, the US Highway 66 Association would blend the fun and excitement of Route 66 with the business of Route 66 at an annual convention. In era of renaissance, the need is as great as it was in 1931 or 1950. Communities need tools, resources, and information, and leaders need support as well as inspiration. When the torch was passed from the National Historic Route 66 Federation to the Route 66 Alliance, there was a fledgling attempt to emulate this with an invitation only State of the Road conference included in the annual Route 66 international festival. 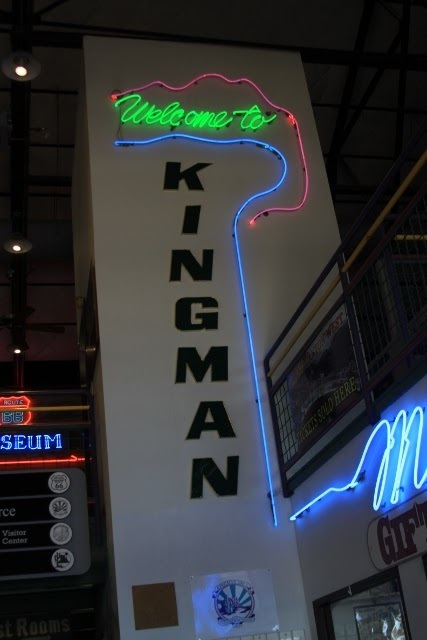 When the Alliance abandoned support for, and development of, the annual festivals in 2014, the organizers for that years international festival in Kingman, Arizona transformed the event into the first modern incarnation of the old associations conventions from the 1930’s. Since that time, but without organization or support from a national organization, numerous communities have attempted to develop an event that combines the business of Route 66 with the fun and camaraderie that is the hallmark of the modern Route 66 community with varying degrees of success. This year Scott Piotrowski has attempted to blend these components in an event at the highways original western terminus in downtown Los Angeles to celebrate the 90th anniversary of Route 66, an event which could have the added bonus of introducing an entirely new demographic to the Route 66 renaissance. As the event will take place on November 11, it remains to see just how successful he will be. 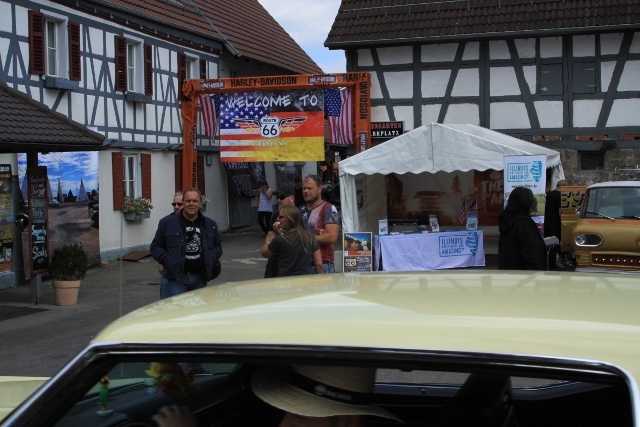 Even the recent Route 66 festival in Germany, an historic first, blended these elements of the early conventions. In this instance both the festival and conference were a success as a good time was had by one and all, and an international advisory group was established to assist the Route 66: The Road Ahead Initiative with development of coordinated marketing as well as promotion. Last year the Miles of Possibilities Conference in Edwardsville, Illinois took the concept a step further, and dependent on who talk with, did so rather successfully. This year the Miles of Possibilities Conference will take place in Bloomington, Illinois. While the business of Route 66 will dominate the event, there will be ample opportunity for fun and the camaraderie that is the essence of the modern Route 66 experience. Festivals abound throughout the Route 66 community every year and they are a crucial component in ensuring the roads popularity as well as recognition. Still, an annual convention is crucial, just as it was in the 1930’s if for no other reason than to provide the tools and resources needed for communities to harness the highways renaissance as a catalyst for development. What are your thoughts? Is a convention needed, an annual “Main Street of America” event that kicks off with two days of workshops and presentations before wrapping up with full blown festivities ?